Whether it is your first time traveling on the sea, or you have never traveled by cruise ship before, you need to be aware of cruise ship etiquette. An excursion of this type should not be pursued unless you are aware of the following cruise ship etiquette tips and protocol. Before your ship sails, you have to gather with the other passengers for a lifeboat drill. The Coast Guard requires that cruise guests take part in this activity. Make sure you wear your lifejacket to the designated muster station. At some ports, the vessel anchors off-shore and tenders are used to shuttle passengers to the beach. Make sure you follow cruise ship etiquette and protocol and wait patiently for your turn. This is one of the cruise ship etiquette tips that is important to follow during excursions. Make sure you maintain a timely schedule. That means you should return to the ship in plenty of time to depart. Never hold the ship up because of inconsideration. Again, this is another one of the cruise ship etiquette tips that is necessary to know when you are stopping at ports of call. While you are cruising, you no doubt will be communicating with people from other countries. Each country has its own customs. Note these differences with respect. Certain parts of the ship are set aside for adult activities. Never bring your kids into these areas. Don’t be rude about using a ship’s deck chairs. It is impolite to “reserve” a chair by piling things on top of it. Instead, take your things with you whenever you have to leave the chair, as this behavior defines appropriate cruise ship etiquette. Another one of the cruise ship etiquette tips you should follow involves partying. Remember to turn down the volume down, so to speak, when you get back to your cabin. Speak softly to a spouse or friend as some guests need to get up early the next day. While most cruise guests are free to wear casual clothing during the day, you need to check out the cruise ship etiquette for dressing during the evening. Check the dress code policy of the ship. The tipping policies on cruise ships, in most cases, can be quite complicated. 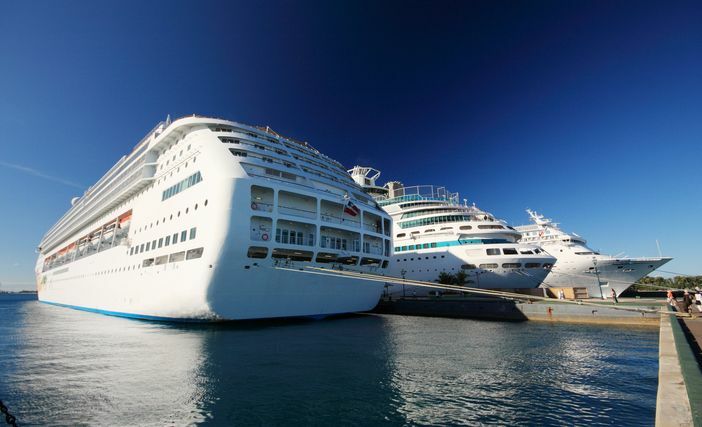 Verify the exact tipping procedures with the cruise line. Usually, there is a per-person or per-day tip system in place. When you board the ship, show hospitality with a welcome and firm handshake. Offer the crew, who will be tending your needs, the proper and appropriate respect. Not only should you wear workout clothes while working out, but you should also behave considerately. For example, wipe off the exercise equipment when you are finished with it. Use the equipment reasonably, especially if other cruise goers are waiting. While it is enjoyable to listen to music, you still have to be careful about the sound. In a public area, make sure you use an audio electronic with headphones. No one likes to listen to someone grumble while he or she waits in line. Try to converse politely with someone in line. Observe proper cruise ship etiquette and enjoy your conversation.